Management Team of NAKIVO Inc.
Bruce Talley brings a long track record of startup, general management, and market development success to NAKIVO. As CEO, Bruce is responsible for the overall vision, direction, and revenue attainment for the company. Previously, Bruce was VP of Product Development at Quest Software. 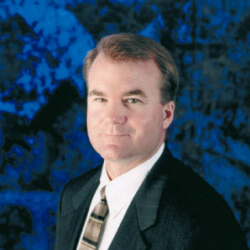 He joined Quest Software through its acquisition of VirtualFabrix where he served as the CEO. Bruce was Director of R&D at BMC Software. He joined BMC Software through its acquisition of CoroSoft where he served as the CEO. Earlier in his career, Bruce was VP of Managed Services at Exodus Communications where he grew revenue from $2M to $300M in just 2 years. Prior to Exodus, Bruce held various management positions within HP.